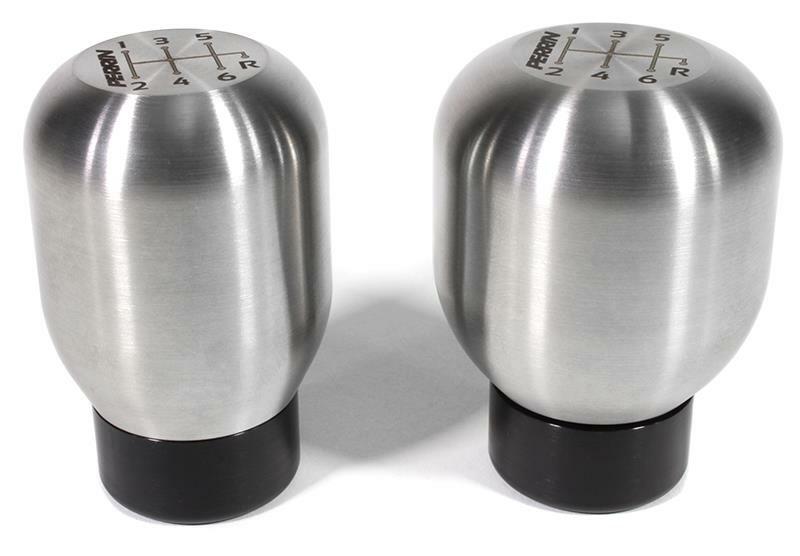 PERRIN Shift Knobs come in two different sizes. A Small Knob (1.6” diameter, 0.7 lbs.) and a Large Knob (1.85” diameter, 1 lbs.) for power shifters. The Large Knob is approximately the same diameter as the OEM WRX/STI shift knob.